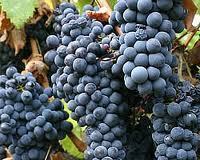 Originated in Spain, called Monastrell, the second most important grape variety today. I’M ALWAYS on the lookout for the next big thing in the wine world. It might be something that magically captures the fancy of consumers — such as Prosecco and Moscato d’Asti have this summer — or a trend that suddenly crops up among winemakers. Now, you may not recognize this rather obscure grape. Or you may know it as mataro or monastrell, its Spanish equivalents. In Spain it grows prolifically, and is the mainstay of inexpensive, deeply flavored reds from Jumilla, Alicante and Yecla in particular. And if you have ever sipped on a dry rosé from Bandol, or a rich, red southern Rhône blend, or perhaps a Chateauneuf du Pape, you have encountered the French version of the grape as part of a blend. New World wineries planted it first as part of an old-fashioned “field blend” — an Old World technique that mixed up to a dozen grape varieties in a single vineyard. More recently, some have taken the lead in producing varietal bottlings of mourvèdre. In California, Tablas Creek, whose owners are partnered with Beaucastel in France, began making a small amount of varietal mourvèdre in 2003. It is also the principal component in their excellent Esprit de Beaucastel. Mourvèdre is new to Washington, but is already attracting the attention of some of this state’s most creative winemakers. Although bottlings of pure mourvèdre are few and far between, they offer the taster the best opportunity to understand what this grape brings to the table as a blending component, most often with grenache and syrah.